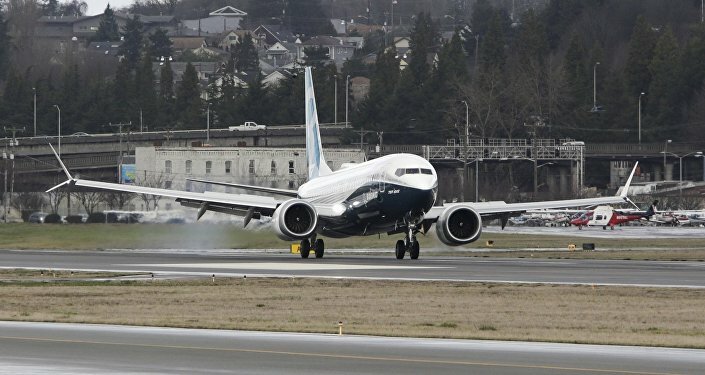 WASHINGTON (Sputnik) - The Federal Aviation Administration (FAA) has certified the training aspects of Boeing's software update for its grounded 737 MAX aircraft fleet, media reported on Tuesday. Boeing is working the final software update that will address the problems surrounding the 737 MAX's Maneuvering Characteristics Augmentation System (MCAS), the report said. Two Boeing 737 MAX aircraft have crashed over the past six months — one in Indonesia in October 2018 and another in Ethiopia in March. In the wake of the latest crash, aviation authorities and carriers around the world have either grounded all 737 MAX series aircraft or closed their airspace to them.